Dr. Lisa Bunin offers you the best in clinical medical aesthetic treatment at Athena Med Spa. Each patient receives individualized care using the latest in skin rejuvenation techniques as well as traditional spa services. Athena Medical Spa will help you achieve the skin you’ve always dreamed of! Welcome to the website for ophthalmologist and oculoplastic surgeon, Dr. Lisa S. Bunin. Providing patients with the highest quality care in a friendly, state-of-the-art office since 1988, Dr. Bunin is committed to enhancing patients’ natural beauty and restoring the health of their face and skin. Dr. Bunin uses a comprehensive approach for facial and eye area rejuvenation that addresses both the deeper tissues of the face as well as the topmost layer of skin. Trained in ophthalmology and ophthalmic plastic surgery, Dr. Bunin offers medical eye care services ranging from the treatment of diabetic eye issues and glaucoma to custom cataract surgery. Dr. Bunin’s office also houses a full eye care center where patients can receive an eye exam and purchase either contact or multifocal lenses. Additionally, Dr. Bunin and her staff are dedicated to ensuring every patient looks as good as they feel. With training in reconstructive and cosmetic techniques as well as dermatology, Dr. Bunin provides cosmetic services such as eye, eyelid, skin, and laser surgery with a gentle, artistic touch. 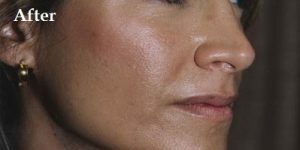 To restore youth and vitality for a younger look, she offers microdermabrasion, removal of skin lesions like cancerous moles, laser resurfacing, skin tightening, and IPL treatments. Dr. Bunin also uses a variety of well known fillers and injectables such as Radiesse, Restylane, Botox, and Dysport. 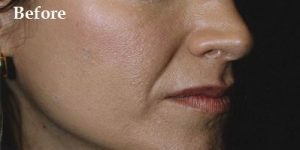 Dr. Bunin Now Offers Restylane® Silk! As one of the few select dermatology practices in Pennsylvania, we are now offering Restylane® Silk. The hyaluronic-acid based injectable is Food and Drug Administration (FDA)- approved for plumping lips and filling wrinkles around the mouth. Located in the Lehigh Valley region of Eastern Pennsylvania, Dr. Bunin serves the communities of Allentown, Bethlehem, Easton, Coopersburg, Quakertown, and Emmaus. By offering the most current medical and surgical treatments for eyes, eyelids, and facial tissues while treating every patient with compassion and respect, Dr. Bunin and her staff steadfastly follow their motto of modern techniques, old-fashioned care. Dr. Bunin values your time. In an effort to save you time in our office, you can download and complete our patient form(s) prior to your appointment. Click here to access patient forms. Click Here to view more Before and After pictures. After trying 2 other places for Botox and Dysport, I can definitely say that I get the best results from Dr. Bunin. I did price and provider shop, but I ended up coming back to Dr. Bunin. I am never disappointed with her professional service. She truly is an expert at that she does. Kate O.
I am so happy with my new vision! I can see to thread a needle, work on my computer, paint, and drive; all without glasses, since Dr. Bunin removed my cataracts and put multi-focal implants in my eyes. Thank you Dr. Bunin! I had astigmatism all of my life and cold never see as clearly with my left eye, even with glasses. Then Dr. Bunin removed my cataract and put a Toric lens implant in my eye, and I can’t believe the difference!! It’s a whole new world! Thank you, - Dave M.
I was so near sighted that I couldn’t see my feet or find my way out of the ocean by myself without glasses. Since my cataract surgery, I can do it all… without glasses!